Are you searching for the best travel pillow for your next long haul flight, car, train or bus trip? 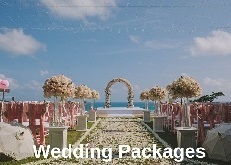 If so you’re in luck! Just recently we came across a company that developed a travel pillow that we have personally tried and tested and which actually works. Let's face it nobody likes to start or end their holiday feeling tired or with a stiff neck after their flight, car, train or bus trip. So it's important that you find the best travel pillow which not only is comfortable but also provides the correct support for your head and neck. Like most travellers we have been using standard boomerang shaped travel pillows like the pillows in the picture above for years. The downside to this type of travel pillow is that they don't support your neck or stop your head from falling forward when you drift asleep. For me personally this would result in waking up abruptly when my head dropped forward or worse waking up with a stiff neck and feeling tired and grumpy. 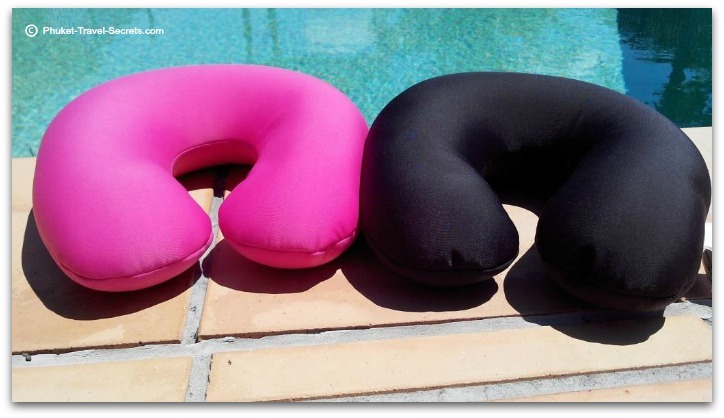 The boomerang style pillow may be one of the most popular and well known air travel pillows, but do they provide the support that you need? 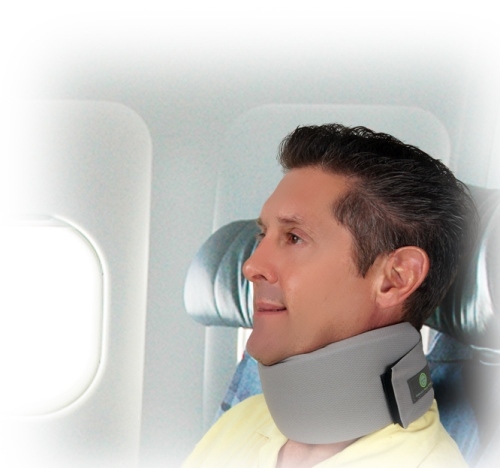 Embrace Travel Accessories have come up with an innovative way of supporting your head and neck allowing you to sleep in a seated position in comfort and wake up feeling refreshed and without a stiff and painful neck. 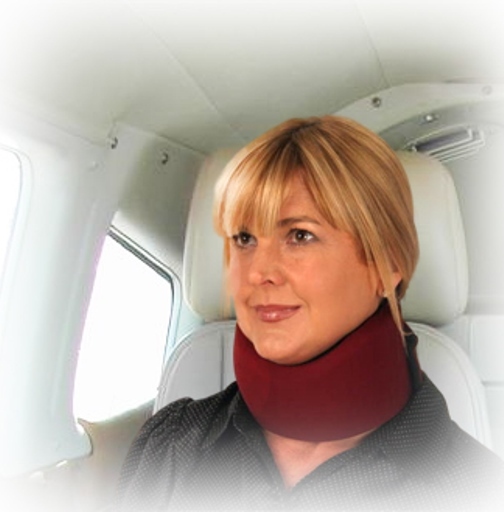 The Embrace sleep collar works by supporting your neck and head, by helping to relax the muscles in and around the neck area and to stop your chin from falling forward onto your chest. The sleep collar has received excellent reviews since coming on to the market from travelers around the world, with praise on how the sleep collar supports their necks, and stops the head from flopping forward. 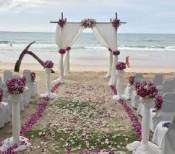 The best part about these testimonials is how many customers have finally enjoyed a well-rested sleep and no stiff neck to spoil their travel experience. 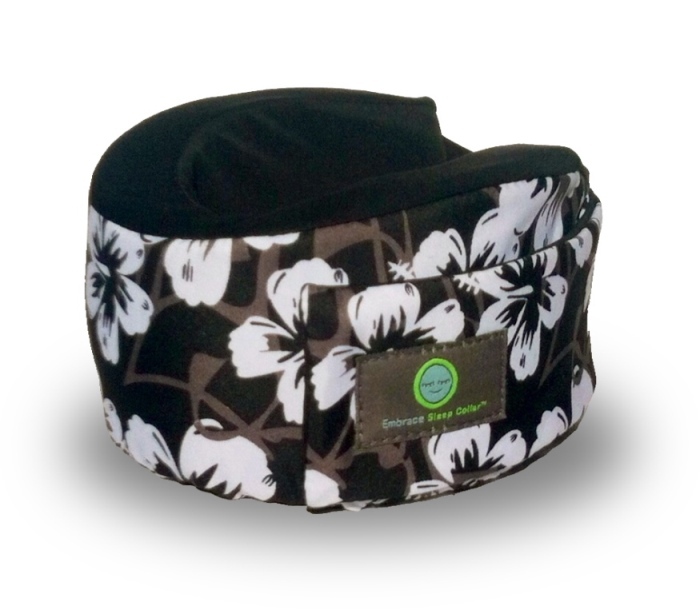 As you can see the sleep collar is unlike your standard travel pillow, it has support in the front and on both sides of the collar. 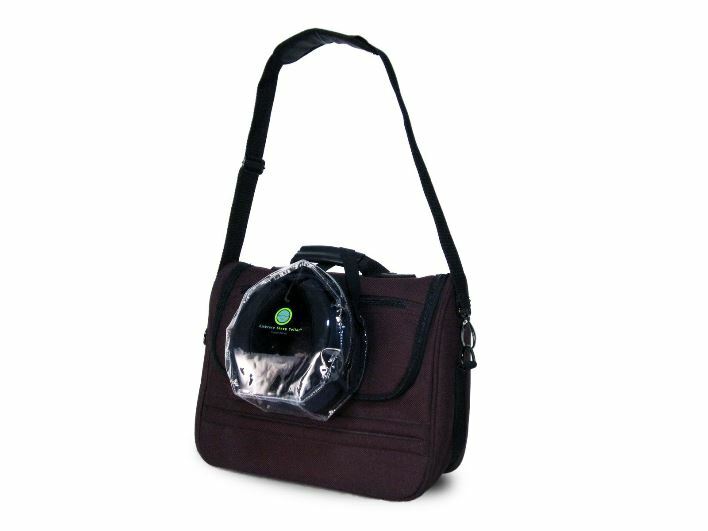 The sleep collar has definitely become part of our air travel accessories, its light weight, only weighing 3 ounces or 85 grams and comes complete with a handy carry case with a velcro strap that can be easily attached onto your carry bag or handbag. The case has ample room to store your eye mask and ear plugs, everything you need to arrive rested for your next holiday or work destination. 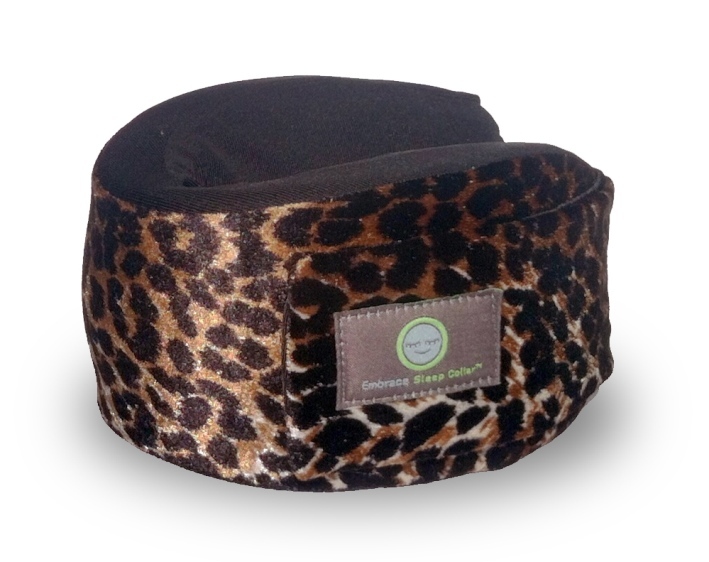 The above picture of the sleep collar shows the size comparison compared to that of a standard travel pillow. 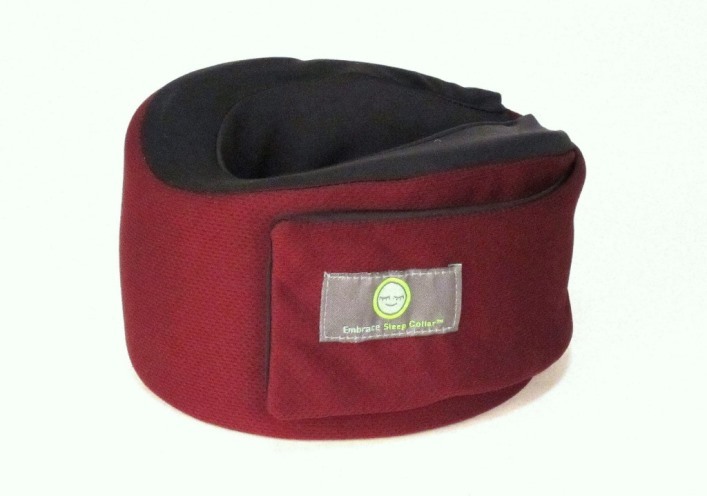 Although the sleep collar may have been designed specifically for air travel, we like many others have found it excellent as a neck support pillow when traveling long distances by bus, or a day trip in the car. 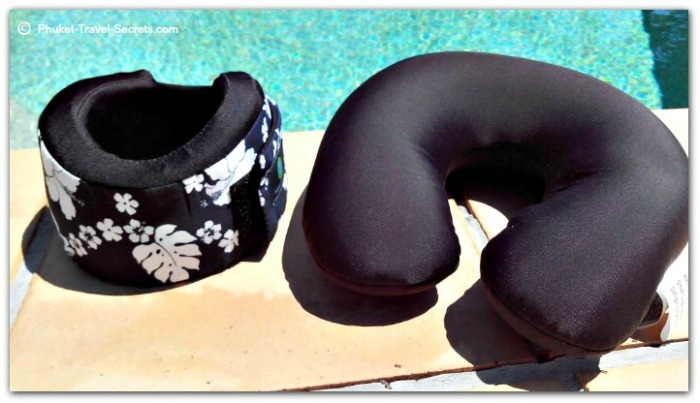 We can highly recommend the neck collar by Embrace Travel Products as it is the best travel pillow we have used and we have tried quite a few. 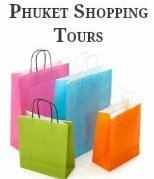 It has made long and short distance travel much more enjoyable taking the stress out of our necks and shoulders allowing us to arrive at our travel destination refreshed and pain free. 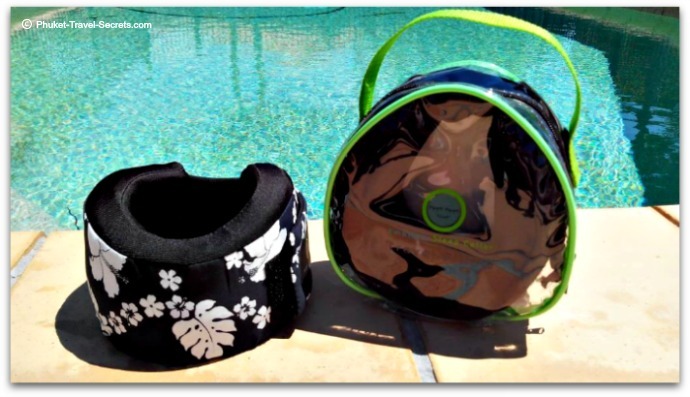 If you would like more information about the travel pillow and other travel accessories available or to make an order you can visit Embrace Travel Products website.